Garden Design: Planting design in a NY back yard. Planting design in a NY back yard. A planting design captured in late July in a NY back yard. I used a variety of shrubbery, perennials, groundcovers and some annuals. I used fieldstone for the wall and bluestone for the patio. 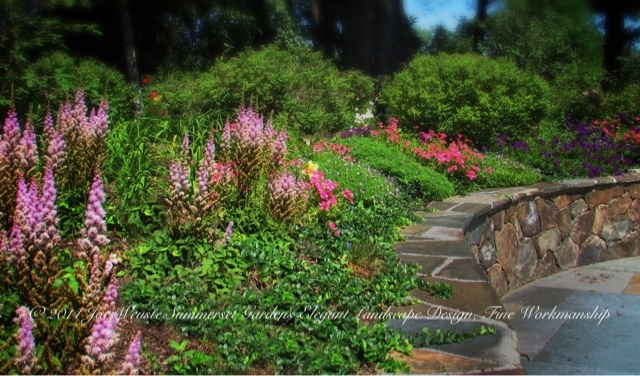 Landscape architect, garden design and construction services in the NY and NJ areas.